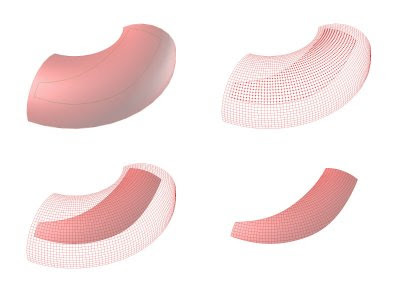 Here is a strategy I am working on in Grasshopper for creating rationalized doubly curved surfaces. The example below uses a torus (defined parametrically using a GH function component). The use of a toroidal "slice" to drive the geometry allows for flat panels, repetitive panel sizes, and quadrilateral panel shapes.